Torchons & Bouchons Tea Towel France Panorama - Miam! 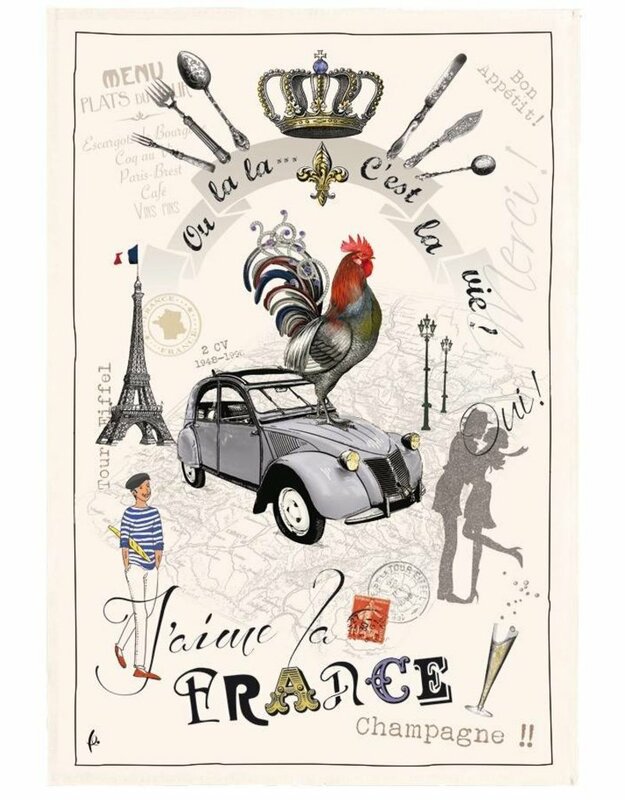 Featuring everything you love about France, this Panorama Tea Towel will transport your kitchen right into the heart of Paris. With it's fun design, this towel will also add a light splash of color to where ever it is hung or placed. This towel is 19" x 28.5" and is made of 100% durable cotton.